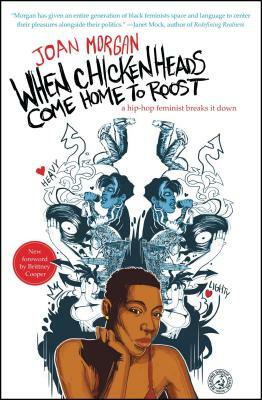 Still fresh, funny, and irreverent after eighteen years, When Chickenheads Come Home to Roost gives voice to the most intimate thoughts of the post-Civil Rights, post-feminist, post-soul generation. Joan Morgan offers a provocative and powerful look into the life of the modern black woman: a complex world in which feminists often have not-so-clandestine affairs with the most sexist of men, where women who treasure their independence frequently prefer men who pick up the tab, where the deluge of babymothers and babyfathers reminds black women who long for marriage that traditional nuclear families are a reality for less than forty percent of the population, and where black women are forced to make sense of a world where truth is no longer black and white but subtle, intriguing shades of gray. Joan Morgan began her writing career at The Village Voice. A staff writer at Vibe magazine for three years, she has also written extensively about music and gender issues for The New York Times, Ms., Madison, Interview, and Spin magazine, where she was a contributing editor and columnist. Morgan is presently a contributing writer for Essence and Notorious. She lives in Brooklyn, New York, with her husband and son.